If you’ve been in the Village recently you will see the Lighthouse Quarter are well into their renovations. Part of this upgrade includes the installation of a Deck outside the restaurants along Chartwell Drive. 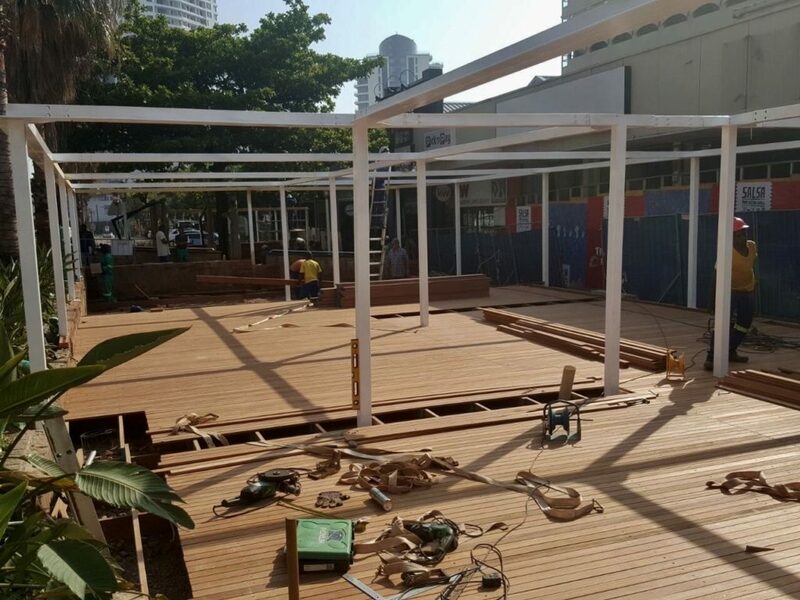 This deck installation will be ready for the festive season and helps encourage the outdoor lifestyle tourists and locals enjoy in the uMhlanga Village.